Xi said China would seek to "step up" moves to stimulate domestic consumption of imports, lower tariffs, ease customs clearance procedures, and implement harsh punishments for intellectual property infringements, among other measures. 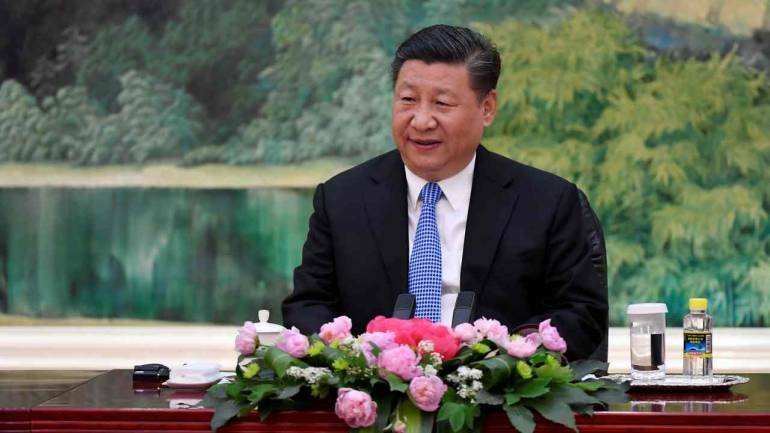 President Xi Jinping vowed Monday to open access to China's economy, while delivering a veiled rebuke to the Trump administration, as he kicked off an import fair amid growing foreign accusations that his government was backtracking on reform pledges. "We will foster a world-class business environment," Xi said in an address opening the import fair in Shanghai. "They should not just point fingers at others to gloss over their own problems," Xi said. "They should not hold a flashlight in hand, doing nothing but highlight the weaknesses of others and not their own." Beijing has framed the first annual China International Import Expo as a sign of its commitment to open markets despite mounting criticism to the contrary and the worsening trade war with Washington, which has seen both sides impose punitive tariffs on billions of dollars of goods. Organisers say more than 3,000 foreign companies from 130 countries including the United States, Europe and across Asia, will put their products on display for potential Chinese buyers at the expo. Companies in attendance include General Motors, Ford, Microsoft, Samsung, Walmart and Tesla. The run-up has triggered fresh calls for China to take actionable steps to improve a domestic playing field that critics say is skewed in favour of Chinese businesses. It was not clear whether his pledges on Monday will placate foreign critics. The US and EU business lobbies in China, and the French and German ambassadors to Beijing, last week called on China to use the expo to announce concrete change, saying it too often fails to deliver on promises. Washington has snubbed the gathering by not sending high-level representation, instead calling on China to change "unfair" trade practices.